My interest in criminal law began while attending University of Miami School of Law. During my second year , I was able to secure an internship with the State Attorney’s Office as a student prosecutor. I worked under Janet Reno, who later became our United States Attorney General. Over the last 23 years I have been representing individuals throughout the Commonwealth with compassion, professionalism and the understanding that your case is all that matters. 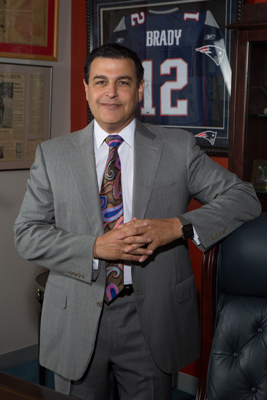 I am one of the few attorneys in Worcester County that devotes their entire practice to criminal defense and I have built a reputation based on results and dedication to my practice. In 2003 I was voted Massachusetts Lawyer of the Year. Most people don’t plan on getting charged or arrested but should you require my services, I am available 24 hours a day, will see you on weekends and more importantly, will never leave a call, text or e-mail unanswered.